posted by jessica	at 02:46 PM	Filed under Inventive, Recipes. You can follow any responses to this entry through the RSS 2.0 feed. Both comments and pings are currently closed. Oh, these are just too cute now!!! 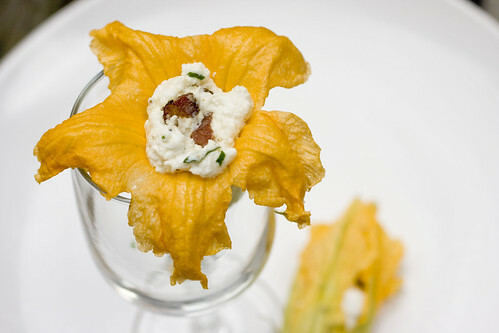 i love the filling, sounds delicious and flavourful! Yum! 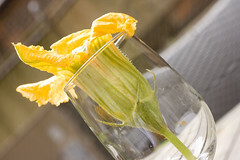 I love squash blossoms. 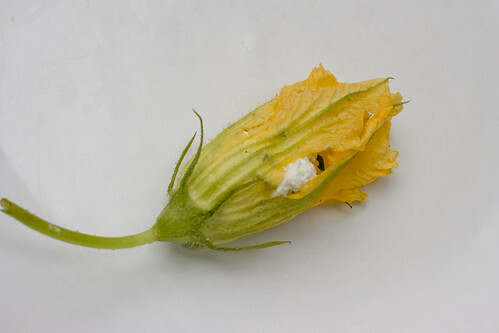 *sigh* Must get around to stuffing and frying a squash blossom before the season is over! It looks ssssssoooooo cute! Thanks for sharing the recipe! 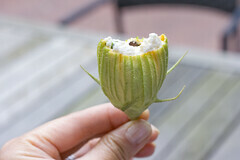 good for ya’ll—you managed to make something completely delicious while still maintaining the blossom’s beauty. fabulous. 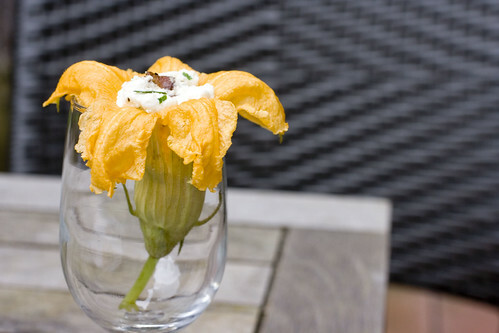 I have been wanting to make something with squash blossoms and thought I would have a chance when my sister was growing squash in her garden last summer. Unfortunately the plants died and I missed out. This was just what I was on looking for! I’ll come back to this blog for sure!! What we call bacon in the US is referred to as streaky bacon in the UK. 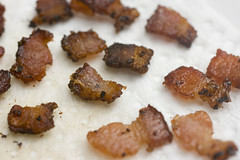 So if you’re English, the recipe is uncured streaky bacon (looks like it just has black pepper on it?) 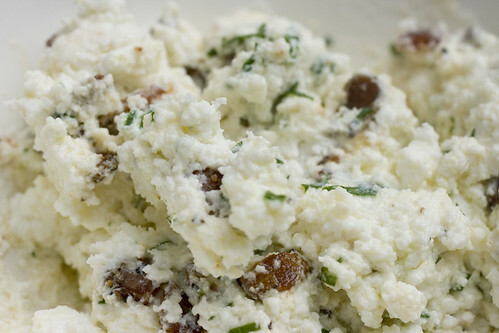 and pasteurized whole milk ricotta. Back bacon is what we call Canadian bacon in the US. 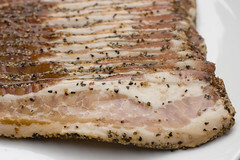 Pancetta is also similar to back bacon. Thanks! Going to try your recipe today!